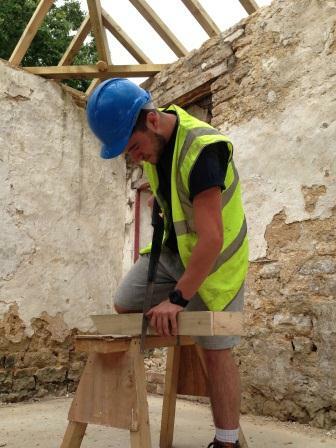 Heritage Craft Alliance is leading the way nationally in the provision of Heritage Construction skills. Heritage Craft Alliance (HCA) was recently awarded “Apprenticeship Champion” for its training work with young people and is successfully working with One Awards to address the needs of work-based skills shortages, not only in the North East, but throughout the country. Business has recently called on the Government to help them create more apprenticeships to deal with a growing skills gap, but it seems that HCA and One Awards had already anticipated their concerns and were addressing them head on! Partnering with master craftsmen, locally and across the country, HCA and One Awards are ensuring that there will be a crucial transfer of skills and knowledge to the next generation of heritage construction professionals. HCA now offers the only apprenticeship programme in the whole of the UK which offers an entry point to the heritage skills sector for young people. They also deliver over 400 advanced heritage skills qualifications (more than the rest of the UK altogether). 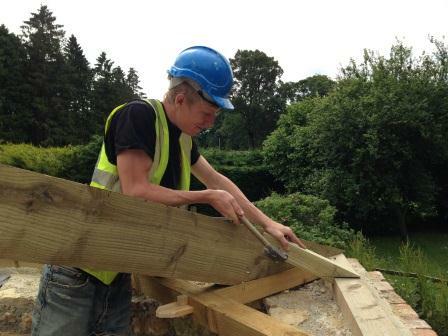 The programme was accredited through One Awards (formerly Open College Network North East Region) and offers a National Apprenticeship Framework for young people which offers diplomas in masonry, including traditional stone, brick and earth building and also in wood occupations, carpentry and joinery. All training is specifically geared towards the building, restoration and conservation of historic buildings but embraces modern technology. Heritage Craft Alliance and One Awards have worked together extensively on bespoke training provision and accreditation of courses since 2009.Glenn Young, Director of HCA, discussed the idea of creating much needed apprenticeship frameworks for heritage construction skills with One Awards back in 2012 and together they rolled out a pilot course in 2013. The first group of students are about to start their second year and HCA already has six students signed up for the new 2014 course and can accommodate more. Heritage Craft Alliance is also working nationally on a highly effective, bespoke project with the Canal and Rivers Trust. They are training 14 young people on a three year in-house apprenticeship scheme whilst also improving the heritage construction skills of existing staff. These courses were also accredited by One Awards.